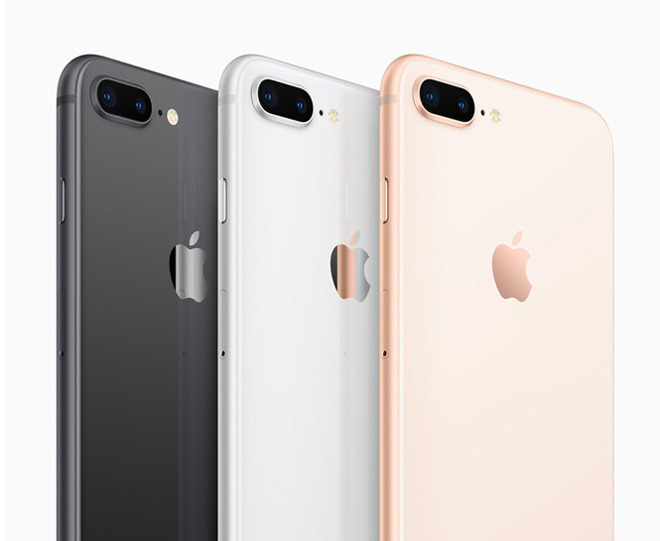 Qualcomm appears to be taking issue with the fact that the iPhone 7 and iPhone 8 family are still available from independent Apple shops, and perhaps also contesting that they are available at retail in the country at all. Qualcomm attorneys claim that Apple is intentionally defying the court order. "They obviously don't consider themselves bound by injunctions," Qualcomm said, in a summary of what was provided to the German judge that has been seen by AppleInsider. "Significant fines must be imposed to put a check on that." Apple has pulled the models from its corporate retail presence in the country. The devices can still be found at retail through other sellers, both authorized and not. Judge Matthias Zigann ruled on December 20, 2018 that Apple has violated Qualcomm patents on iPhones with Intel modems —meaning all units sold in Germany. Apple supplier Qorvo violated an "envelope tracking" patent held by Qualcomm, vital to conservation of battery power while the modem is active. The ban is enforceable in Germany, though Apple could seek a stay through the appeals process — which it is certain to do. Apple issued a statement following the initial ruling, and has pointed to it on several occasions afterwards, up to a January 18 block on the second paragraph by the same German court that ordered the iPhone ban in the first place. Qualcomm posted the bond for the sales ban to take place, pending Apple's appeal. The iPhone 7 and iPhone 8 were pulled from shelves at Apple's retail stores on January 4.